Will Coles continue providing woolly balaclavas? 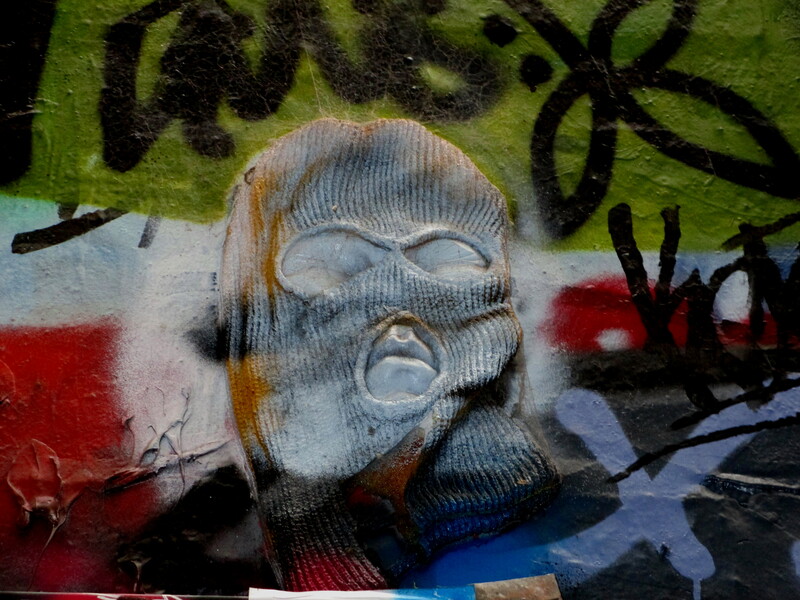 Will Coles (a UK born, Sydney-based street artist), creates street art installations and his current theme focuses around the so called “art terrorista.” His recent works have included using a knitted balaclava on a flat facial mold set in a street art scenario. The balaclava masks (see example, above); which adorn various public walls; demonstrate the “banks” and “stockbrokers” profits he objects to, and portrays them as a ‘wanted target’. Coles’ street installation depictions are based on his belief that Capitalism has let us down and that we need to crack down on the Capitalists which include bankers and stockbrokers. This entry was posted in StreetArt, StreetArtists and tagged #ArtInstallations, Will Coles. Bookmark the permalink.